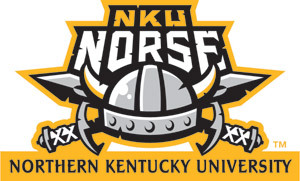 Northern Kentucky University will begin the 2010 NCAA Division II tournament Thursday as the No. 3 seed in the Midwest Region. NKU opens with No. 4 Wayne State at 3 p.m. The Norse finished the season in first place in the East division of the Great Lakes Valley Conference and the league’s second best record. Outfielder Jason Crisper was named the GLVC player of the year, and reliever Kevin Jordan was named the conference pitcher of the year. NKU head coach Todd Asalon was named GLVC coach of the year. Crisper and Jordan have also been named semifinalists for the Tino Martinez Award, which goes to the top NCAA Division II player.